More than a century after Americans discovered the tasty beef from the wilds of Texas, folks are rediscovering the healthful benefits of low-calorie, low-fat beef. You won’t find a tastier burger than a Meersburger from a Meers Store & Restaurant located just past the Wichita Mountains Wildlife Refuge. They also serve up delicious steak, barbecue, and sausage. We even found longhorn burgers in Upstate New York at the Old Schoolhouse Inn & Restaurant. 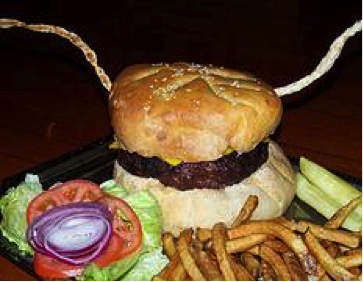 The owners raise Texas Longhorns onsite and serve their burgers complete with pastry horns. 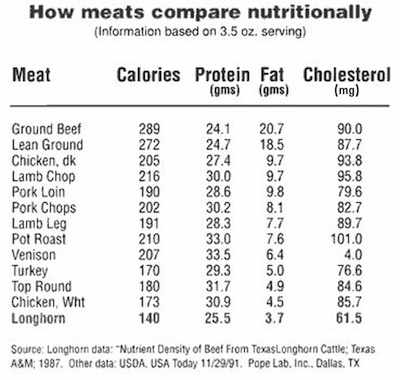 Contact us for custom orders of hormone-free, range-fed Texas Longhorn beef. Angus-Texas Longhorn crosses are also available.